Network managers have often used tools to assist them with managing networks and diagnosing issues. But the complexity of today's networks means the tools they relied on just a couple of years ago are no longer up to the job of supporting today's complex, multi-dimensional networks. Remember the good old days? When you could run your network with a single backbone of fibre, to some easy-to-control switches with a single Internet connection. All the applications ran on local servers and employees could only connect to them via the local network. Today's world is far more complex. The network doesn't have a boundary. Applications can be hosted locally, on remote infrastructure in the case of Infrastructure and Platform as a Service offerings (IaaS and Pass respectively) or even completely managed in the case of Software as a Service (SaaS). Staff can be anywhere and they use a broad variety of devices that you may have limited control over. Fully cloud and hybrid environments are the new reality network manager’s face. That perfect storm gives rise to many challenges. Network performance can be slow and issues can be hard to diagnose as there are many hops between private and public networks as staff access critical applications. When someone calls your help desk saying "the network is down" that could mean their internet connection is down, your IaaS, PaaS or SaaS provider is offline, your local network might be unavailable or a remote DNS server is not working correctly. For business users, a network doesn't have to be offline to be a problem, slow performance for users - which is typically caused by latency - is something that can be difficult to diagnose. There may even be a threat actor involved, with a piece of malware or a Distributed Denial of Service (DDoS) attack interrupting one of the links in the complex chain of network connections between a user and the data they need to access. Network managers have often used tools to assist them with managing networks and diagnosing issues. But the complexity of today's networks means the tools they relied on just a couple of years ago are no longer up to the job of supporting today's complex, multi-dimensional networks. And those that attempt to fill that gap are often so complex that they make the task of diagnosing a network failure or security threat too complicated. And if the problem can't be diagnosed, resolving it is almost impossible. In order to troubleshoot and manage a network, managers and engineers need to know what assets they have, know how they are performing and deal with a multi-vendor environment so that one tool can see right across their entire network without needing to stick together different proprietary solutions. SolarWinds' NetPath is the newest component of the company's Network Performance Monitor. This mature suite of tools is designed to help network engineers and managers get to the bottom of issues they face. 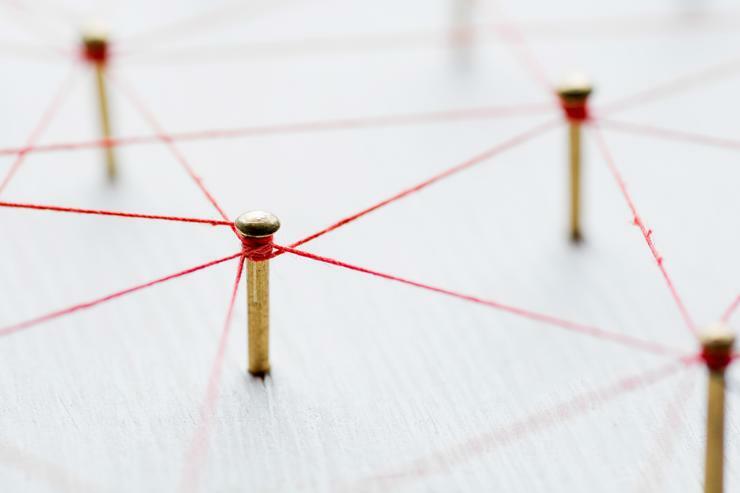 NetPath measures the performance of each node and link on the network and delivers a complete picture of how they connect and interoperate. This makes it easy to detect slow links - even when they are outside your control. For example, when a user accesses a SaaS service from within the corporate network, a typical path might run from their workstation, to a local switch on the same floor as their office. That switch connects to the core network which links the user to a gateway to an external service provider. For some businesses, that's where their ability to diagnose issues ends. However, NetPath continues the chain, through the service provider's network and external network links until the connection reaches the intended destination. Each hop along that journey can be monitored so that you can be aware of issues as they occur and preemptively re-route traffic or be able to understand where your bottlenecks are so that you can deploy your resources with greater precision. NetPath delivers a detailed analysis of each hop in the path so, whether you're a Managed Service provider (MSP) System Integrator (SI) or running your own network, you can discover where problems exists, fix them and reduce downtime for the end user. NetPath is unique as it is fully integrated into SolarWinds' network management solution and not just an extra 'bolt on' tool that works independently. The benefits of NetPath aren't just technical. It delivers real business value that directly impacts business performance. Network downtime costs businesses money. Not having access to key business applications, whether they're managed on-site or through cloud providers, can stop a company in its tracks. That doesn't matter whether it's a small business with just a handful of staff or a large enterprise with thousands of users. SolarWinds understands this and, through their global experience across almost every industry vertical and with businesses of all sizes, they are able to deliver a tailored solution to suit everyone. They already work with over 20,000 MSPs across the world and help manage over 500,000 network end-points. NetPath can be run either on-prem, using a locally installed instance, or using SolarWinds' SaaS offering. That gives MSPs and IT Service Providers a variety of options to offer their customers. The SaaS offering is a low-cost entry point that can be grown and adapted as a business evolves. For SIs and MSPs, this means there's an opportunity to build a long-term relationship with clients, and not just a single one-off transaction. Coupled with the breadth and depth of experience SolarWinds has and their willingness to share this with their partner community, there are substantial opportunities for ongoing revenues through both the on-prem and cloud-based solutions for NetPath. For a new MSP, they can start with a month-by-month plan that costs about the same as a round of coffees and cakes at the local cafe. As needs change, that can be ramped up, providing a flexible solution. That means the MSP delivers the best possible service to their customers as they fully understand what's happening on their network and they can help their customers diagnose issues faster and with greater precision. There are a variety of technology challenges that can affect a business' operations. Network latency, downtime and network issues can be notoriously difficult to diagnose and fix. NetPath provides a comprehensive and easy to use tool that delivers optimal visibility so network managers can get on top of issues that affect business users. SolarWinds' experience with customers of all shapes and sizes across the world givens them great experience with ensuring they can deliver great solutions in New Zealand and beyond. To find out more and start your free 30 day NetPath trial, click here.